Should non-violent, misdemeanor marijuana convictions be expunged in Missouri ? There is a growing push in Missouri to expunge misdemeanor, non-violent marijuana convictions. Missouri lawmakers both Republican and Democrat have bills to expunge marijuana convictions. Both bills have different routes to accomplish that. KANSAS CITY, Mo. — KANSAS CITY, Mo. – There is a growing push in Missouri to expunge misdemeanor, non-violent marijuana convictions. “I think we are looking at a time where nationally we are readdressing the whole question of marijuana usage, especially what we consider minor usage,” said Amy Hartsfield. 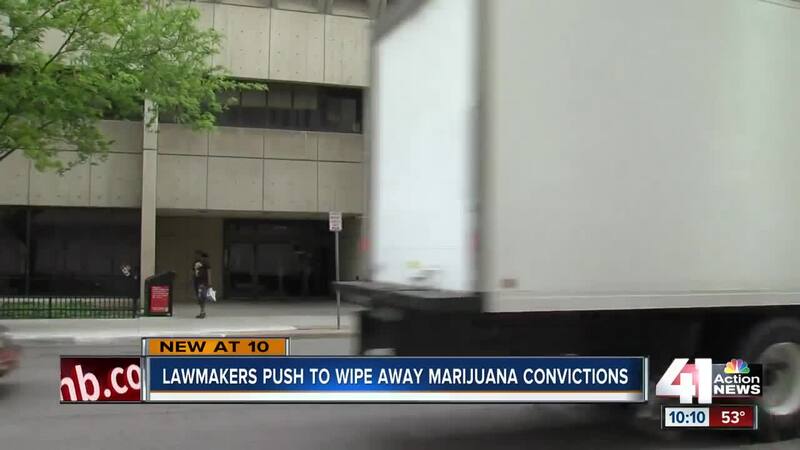 Missouri lawmakers both Republican and Democrat have bills to expunge marijuana convictions. Both bills have different routes to accomplish that. Governor Mike Parson says he is open to the idea, depending on the details of the bill. “I personally don’t think it’s a violent type crime,” said Molly O'Hara. “I definitely think people that were convicted in the past, their charges should be expunged,” said Belal Rhaimeh. Last year the Kansas City prosecutor’s office saw more than 1,000 marijuana related cases. "When a pleading is filed asking to expunge a municipal ordinance violation conviction, we always review each case on its merits and the applicable law." While everyone does not agree with the push to wipe convictions, those we spoke to say, recreational marijuana is becoming more embraced nationwide. “There are rules that are arbitrary and then there are rules that we have in our intuition, marijuana is an arbitrary rule in my opinion,” said O’Hara. “I think we have quite a few violent crimes, jamming up our courts, when you talk about non violent misdemeanor marijuana, I think that is something that should be addresses,” said Hartsfield.